Quilting Adventures: Another Fat One bites the dust....! 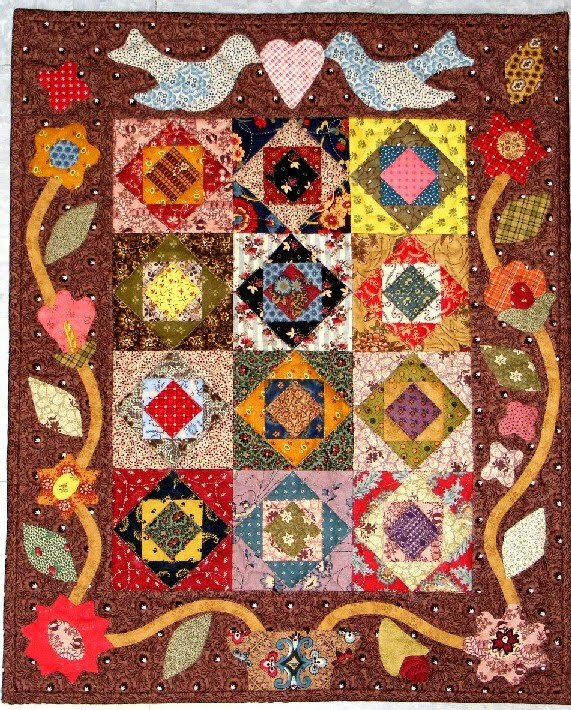 I've been plugging away at the Fat Quarter Book by Lori Smith. I've had this little quilt done for quite some time. It was just a matter of loading it on Penelope and getting it machine quilted. The pattern is called Square Dance. I actually foundation pieced the center of the quilt. If you've been following my blog from the beginning, you know that I am not a fan of paper piecing. The technique and I just do not get along. 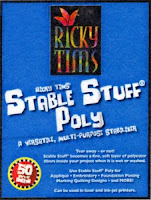 I've worked around the whole personality conflict thing by using Ricky Tims' Stable Stuff Poly! I print my blocks and piece accordingly. I do not have to remove the foundation. Once washed, it blends in with your batting. I don't even have tension issues! Yea, I'm in love with Stable Stuff! lol Basically, it's machine embroidery stabilizer cut in a convenient size 8.5" x 11" sheets. Works for me! Boy, I've never heard of this stuff. Definitely worth checking into! Wow....I've never heard of the stuff. It sounds awesome. Love your quilt, beautiful prints. That looks interesting. 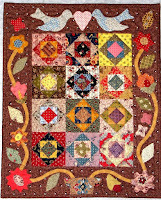 I want to machine quilt more and I like a stabilizer for the applique. I use the stuff from jo anns usually, really need to learn more about the different products. Paper piecing *ugh* I'm right there with you on that one! I love it! And I"m glad to know that Stable Stuff works. I"ll have to try it!